A ninth British lawmaker on Friday announced he had left the Labour Party, accusing it of having a “culture of extremism, anti-Semitism and intolerance” under leader Jeremy Corbyn. “One of the main reasons I joined the Labour Party as a teenager here in Dudley more than 35 years ago was to fight racism and I could never have believed I would be leaving the Labour Party because of racism too,” he said. 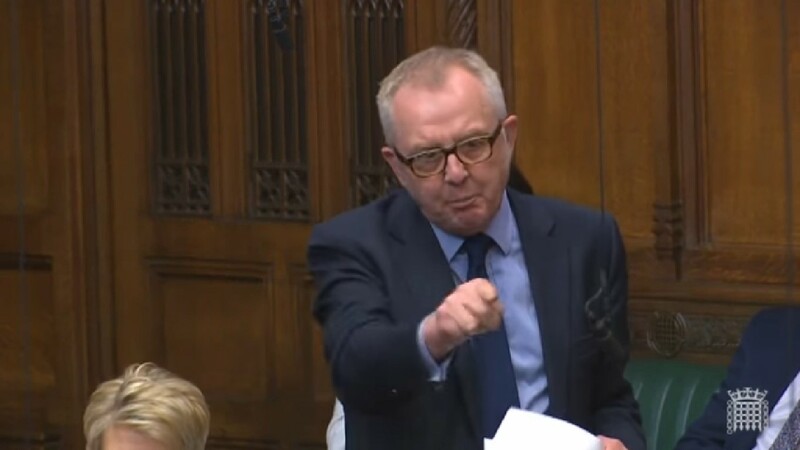 Last year he faced disciplinary action by the party after accusations he swore at party chairman Ian Lavery during a “heated discussion” about Labour’s failure to tackle anti-Semitism. Austin is the adopted son of a Holocaust survivor and has always said his politics and his father’s story are inextricably linked. “That left me with a lifelong conviction that prejudice leads to intolerance, then to victimization and eventually to persecution, and that every one of us has a duty not to stand by, but to make a difference — to fight discrimination, intolerance and bigotry wherever we find it,” Austin told Parliament in a speech to mark Holocaust Memorial Day in 2012. However, Austin said he was not joining eight other ex-Labour lawmakers and three Conservatives who this week formed the centrist Independent Group. 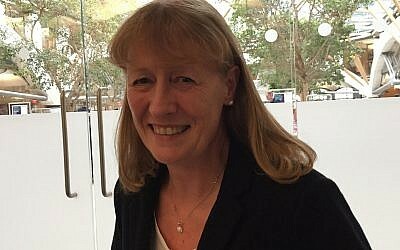 Joan Ryan, who headed the Labour Friends of Israel, announced late Tuesday that after four decades in the party she was leaving Labour to sit with the newly formed Independent Group in Parliament. Ryan, the MP for Enfield North in London, said the party had become “infected with the scourge of anti-Jewish racism” under Corbyn, a longtime supporter of the Palestinians. She had long expressed concerns about Corbyn. Seven Labour legislators quit Monday, accusing the party leader of failing to stamp out anti-Semitism in the party and of mounting a weak opposition to Conservative Prime Minister Theresa May’s plans for leaving the European Union. The breakaway lawmakers hope to gain members from among disgruntled pro-Europeans in both the Labour and Conservative parties. The original seven announced Monday they were breaking away and forming an independent group. “I am leaving behind a culture of bullying, bigotry and intimidation,” she added. Earlier this month Berger, who is Jewish, faced a no confidence vote, later canceled, by local party members who said she was “continuously criticizing” leader Corbyn amid the ongoing row over anti-Semitism in the party. Many Labour lawmakers are unhappy with the party’s direction under Corbyn, a veteran socialist who took charge in 2015 with strong grassroots backing. They accuse him of mounting a weak opposition to the Conservative government’s plans for leaving the European Union, and of failing to stamp out a vein of anti-Jewish prejudice in the party. Labour lawmakers last week sent an angry letter to Corbyn over what they described as a lackluster response from the party’s leadership to lawmakers’ calls for transparency over its handling of anti-Semitism complaints. Earlier this month, lawmakers unanimously passed a motion demanding that party leaders provide detailed data in writing by February 11 on the handling of complaints about anti-Semitism, with some MPs accusing top officials in the party of covering up the figures. MPs also demanded that party officials such as General Secretary Jennie Formby or leader Jeremy Corbyn attend the meeting to answer questions about the data. But the seven MPs said in their letter last week that no one came to speak to them at the Parliamentary Labour Party meeting. An email containing just nine months’ worth of information was sent to lawmakers by Formby 90 minutes before the meeting, they said. 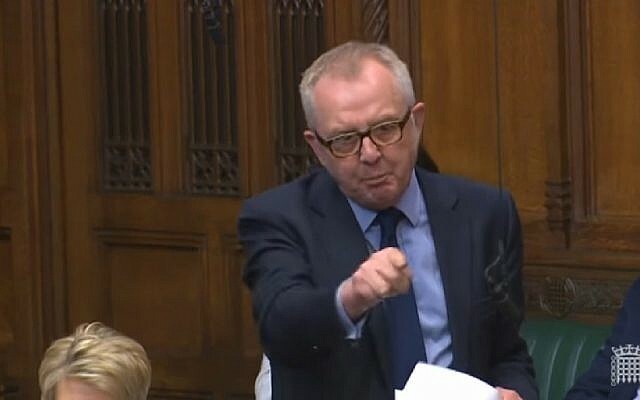 “The failure to respect the request for this simple information does nothing to dispel the accusation that Labour is an institutionally anti-Semitic organization,” the seven MPs charged. Some lawmakers also flatly rejected the figures, saying they don’t believe them. Of these, 211 were deemed sufficiently serious to warrant an investigation, leading to 96 Labour Party members being immediately suspended. 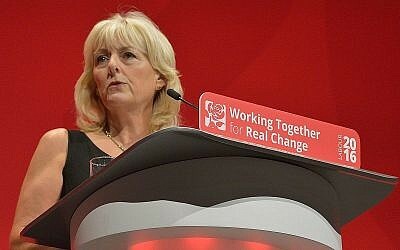 In another 44 cases, members left the party voluntarily once challenged with evidence of anti-Semitism. Another 12 were expelled from the party by the National Constitutional Committee, the only body with the authority to do so. Several hundred others were either given one-off written warnings or their cases were dropped over lack of evidence. In all, just over 300 individuals were investigated or suspended for anti-Semitic actions in the nine months covered by the figures. The row in the party comes amid rising levels of reported anti-Semitic incidents in Britain and a spike in Jewish concern over anti-Semitism throughout Europe. 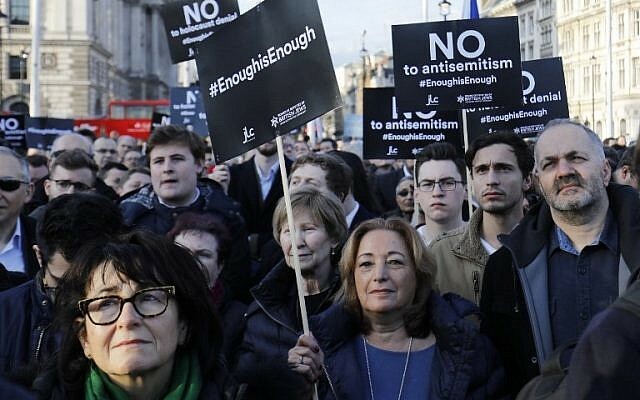 Last week, British Jewry’s watchdog and security group, the Community Security Trust (CST), reported that 2018 had seen the third consecutive record high for reported anti-Semitic incidents in the UK. At 1,652 incidents nationwide, it was 16 percent higher than the previous year and the highest number since CST began keeping track in 1984. Meanwhile, an EU report published in December found some 90% of Jews across Europe felt that anti-Semitism had increased where they live.